Last January, like women everywhere, I resolved to lose some weight and start exercising. And you know what? I actually did lose some weight. And I did develop a new running habit. I started the Couch to 5K program, the same one that countless other people start. If you’re not familiar with the concept of the Couch to 5K program, or C25K, it’s simple. You’ll train three days a week for 9 weeks. Essentially, you start out by walking for half an hour with very little running mixed in and slowly, you’ll alternate until you’re hardly walking. By the end of the 9 weeks, you’ll spend your entire half hour running. Every year, people download one of a gazillion C25K apps and give it a try, but some never make it much further than the couch. In fact, I failed at the Couch to 5K program the first time I tried it too. But in 2013, unlike the first time I tried this program, I didn’t quit at week two. I stuck with it. In March, I ran my first 5K. In April, I ran another. May arrived and with it came another 5K and a 5 Miler. In October, I ran another 5K and then I finished with a bang and ran a 10K. That’s 6.2 miles. Miles. When I started the program, I couldn’t run 6.2 minutes consecutively. Y’all, you’ve got to know that I’m overweight and I’ve had little time for exercising in the past several years. My kids are 5, 2, and 1 and I homeschool, so I don’t get much alone time for working out. I was completely out of shape when I started the program and while I still have more weight to lose, I’m doing better all the time. So how did I have success with this program, the same one that many people aren’t able to finish? Here are my secrets, and trust me, if I can do it, anyone can do it. Anyone. Like yesterday. As soon as you decide to do the program, sign up and pay for your race. This makes it real. And don’t choose a race too far ahead of time. That will give you time to slack off. It’s a 9 week program, so give yourself 10-12 weeks max to complete the training. If possible, choose a race with tons of people so that you’re not the last one to finish, but don’t be too picky. Sign up. If you’re super cheap like me, then paying for a race will motivate you to run. I don’t care if you have to canvass your Facebook friends to find a running buddy, but trust me, you need someone to force you to go. If you know that your friend is waiting for you at the local high school track at 6:00 am, then you’re not going to let her down. You’ll show up. 3. Push everything else aside to prioritize your running. I know this sounds selfish, but hear me out for a minute. The housework can wait. It’ll still be there tomorrow. Dinner can be late. But your body? You only get one of those. And you only get one heart and one set of lungs, and those organs need you to take care of them. So prioritize to make a little bit of time to exercise. 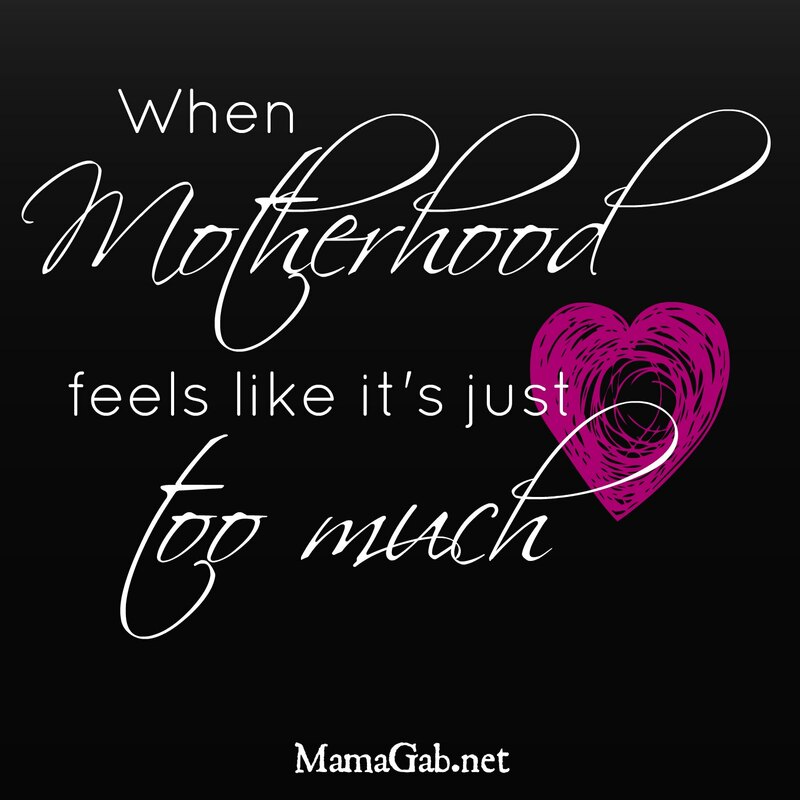 Your kids and husband will appreciate having a more energetic and healthy mommy. Eventually, you’ll figure out how to juggle these things and you might even learn some new crock pot meals to help you get it all done. But for the first couple of weeks, you’ll probably have a little more chaos in your home while you figure out how to make some room in your schedule for your new healthy habit. 4. Take it slow if you need to. If you’re struggling to complete a week, then you may want to take an extra day or two to master it instead of just the three days provided. Week four looks something like this: Run 3 minutes, walk, run 5 minutes, walk, run 3 minutes, walk, then just keep trying. Don’t move on to week 5 until you’ve successfully completed at least one day of running in this format. Sometimes all I needed was one more day of trying to complete the assignment before I finally mastered it. I know that week 5 has you jump from running 8 minutes at a time to 20 minutes. I know you think they’re crazy and there’s no way you can possibly do it. But you know what? You can. Trust the plan and trust the training you’ve been doing. You’ve done far more than you think. And besides, half of the battle is mental. If you can get over this mental hurdle and run the 20 minutes, then you’ve got this thing. So much of it is mental. Don’t worry about your breathing or your form. Just get out there and do it. Me and my twin sister, after running our five mile race! Are you a runner? Have you ever tried the C25K program? Did it work for you? What tips would you add? Love your advice! I tried the C25K a while back and didn’t finish it. Then this summer I just decided that I was going to start running and within 2 months got up to 20-25 minutes. (which I’ve never come close to before) Unfortunately since the weather got cold I haven’t ran at all. Hopefully it won’t be horrible to start back up. I think the success to this time was thanks to mindset, telling my sisters, pushing myself, and prioritizing. It seemed like most days I just went right after my husband got home from work so I wouldn’t make excuses that it was too late or whatever. Yep, that helps a lot! It’s always great to share your goals with someone so that there’s a little more accountability. I’m great at breaking promises to myself, but not so much to others. I did the C25K program last year and loved it! I then went on and did the C210K program. It rocked my world, but I agree. Signing up for a race AND having accountability are keys to success. My friend ran the 10K with me and my husband pushed me to keep training when 6 miles seemed impossible. Like you, before last year, I couldn’t run for 2 minutes. Now I can run for an hour and it’s an amazing feeling! Wow! Great job! Even thinking about running makes me tired! These are helpful tips, Gabby. 🙂 I’m going to check out the Couch to 5K program! Lisha recently posted…Why Start with World History? Thank you! It was really great to get me moving! Now I need to stay committed to counting calories and we’ll really see some progress. I’ve been a runner most of my life but after having kids my running was sporadic. I’ve now got back into running consistently again and am enjoying the time out alone when I can just think. Good for you for sticking with it! Running makes you feel so good in so many ways. That has been my favorite part lately too–time to think!! Good tips! I began and completed the Couch to 5K in the Spring of 2008. When I signed up, I had my 4th child on my hip. She was 3 months old. What this program did for me was open up a world of actually caring about my health. I had always been very thin and then babies came along, homeschooling, etc. After completing my C25K run, I did a 5 miler. I eventually ran a half marathon. Ran. The whole thing! Two of them. I also signed up for a 6 week boot camp that I thought would kill me. But it made me stronger! Eventually I loved the hills in our city instead of loathing them. I would run 2 days a week, short and then long runs on Saturdays. The C25K program gave me strength, physically, and helped me overcome the mental of “I can’t do this” “I don’t have time for this” etc. After the birth of our 5th child, I would get up at 4:00 a.m. in order to study my Bible, have relaxed prayer time, and go run all before 6:30. I have a very wonderful and capable husband, and that helps. And he loves what running does for me and to me. Now with toddler no. 6, running is very few and far between. So I read your post to try to motivate myself – I think it is working! I felt this program was worth every single penny and worth every second of my time. My runs provided me uninterrupted prayer time and I was awed by my Creator. That was the greatest benefit by far. What a great list! And how fun that you did it with your twin (and then shared with HDYDI). I agree with all of your points! I did my first 5k in 2013 as well! Signing up and having that “deadline” is such a great help! Great tips and thanks for being real about your own journey!